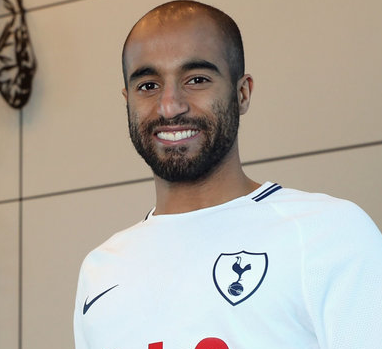 Lucas Rodrigues Moura da Silva is simply named as Lucas Moura who is currently playing for Tottenham Hotspur and Brazil national team by wearing shirt number of 27 as Right Winger. 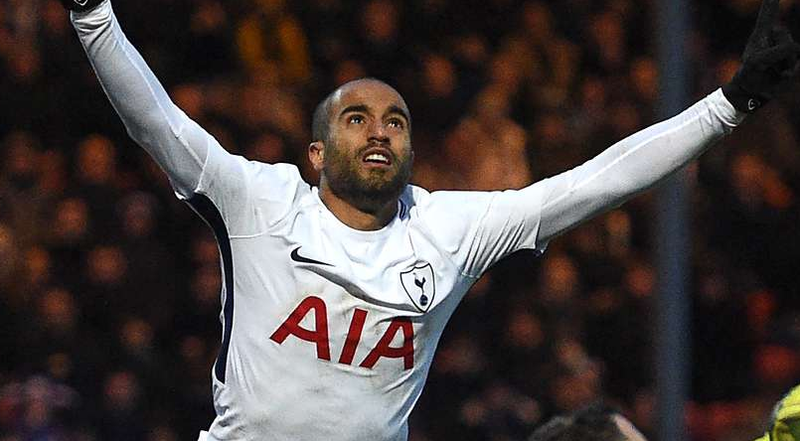 Tottenham's Lucas Moura wins Premier League Player of the Month. The 26-year-old scored his first Premier League goal in Spurs 3-1 win over Fulham and then put in a man-of-the-match performance as Pochettino's side won 3-0 at Manchester United on Monday Night Football. On 13th August 1992, Lucas opened his eyes for the first time in Sao Paulo, Brazil. His nationality is Brazilian. Lucas stand 1.72 m tall. The weight of Lucas is 72 Kg. Lucas began his career in football from the year 2005 at Sao Paulo FC. Lucas made his profession debut with the Sao Paulo first-team in the year 2010 by scoring 4 goals and providing four assists in 25 appearances. After a year, he scored 9 goals with the appearances of 28 in 2011. On 8th August 2012, he was signed by Paris Saint-Germain (PSG) with the transfer fee of €45 million and was provided shirt number of 29. He was able to play from January 2013 onwards. Lucas made his debut against AC Ajaccio on 11th January 2013 with a score of 0-0. He also played in the Champions League away victory over Valencia on 12 February. He made his first goal against Bordeaux on 13th September 2013. In the season of 2014 to 2015, he was provided shirt number of 7. and made his season debut against Coupe de France. On 7th August 2015, Lucas scored the first goal of the 2015–16 Ligue 1 season for PSG. Lucas was transferred to Tottenham Hotspur till 2023 on 31st January 2018 and made his debut on 2017–18 UEFA Champions League match against Juventus on 13th February 2018. Lucas scored his first Premier League goal on 18 August 2018 in the 2018-2019 season. He was the member of Brazil's Under-20 international side, Brazil in the Under-20 South American Championship and many more. Lucas was named in the squad for the 2011 Copa América in Argentina and played very well. Lucas was selected to compete for the Brazil Olympic football team in the 2012 Summer Olympics in London. Lucas is a married man. He married Larissa Saad on December 23, 2016. Currently, they are together and spending quality time of their life. Previously, he was in a relationship with Bruna Unzueta, Margarita Gauchet, Patricia Limonge. The net worth of Lucas is estimated to have around $33 Million.